When it comes to kitchen-worthy materials, not all options are great ones. Plastic, for example, needs to be kept to a minimum, seeing as all those sharp objects and hot surfaces may very well ruin your dream kitchen even before you’ve had a chance to cook your first meal. Now for a material that is strong, stylish and trustworthy (and also looks the part), we recommend concrete. And since it’s such a versatile material, you know that you can opt for a range of different styles to suit your relevant kitchen and lifestyle. But why take our word for it? 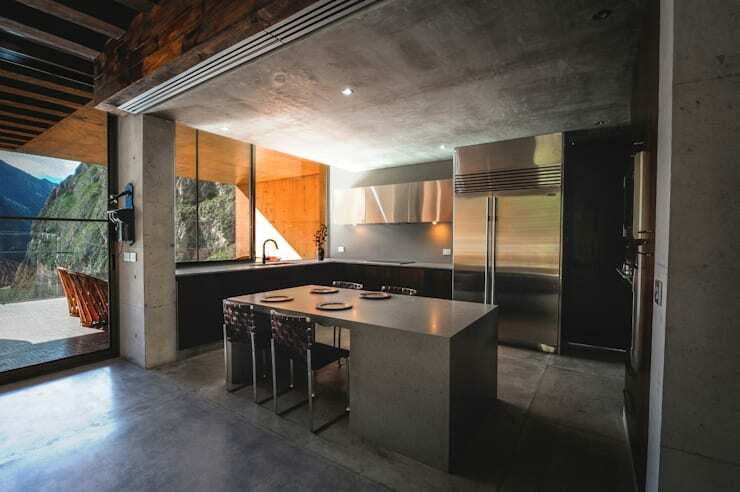 Have a look at these 9 images that showcase the stunning (and different) looks concrete can take on for a busy space like the kitchen. 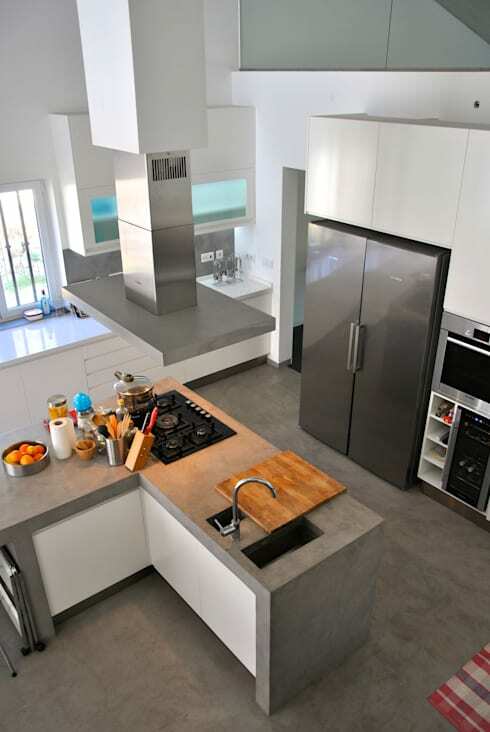 There’s no denying the sleek and elegant look that these stone-grey concrete surfaces flaunt, especially when compared with stainless steel adorning the kitchen appliances. 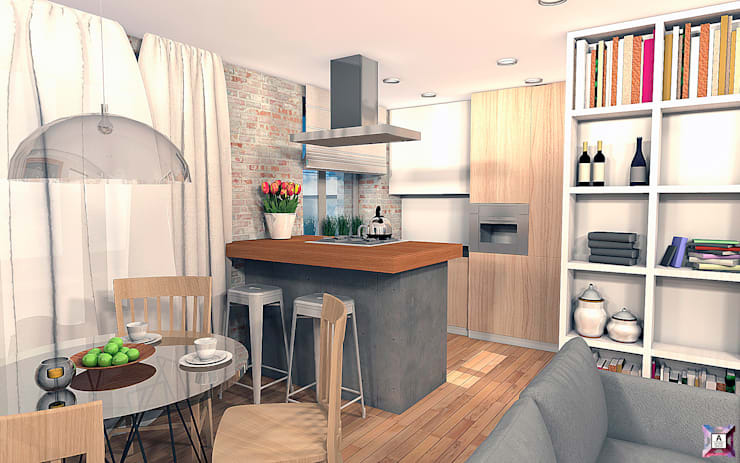 This kitchen is picture perfect for the industrial style, the modern or contemporary – perhaps even for your dream home? 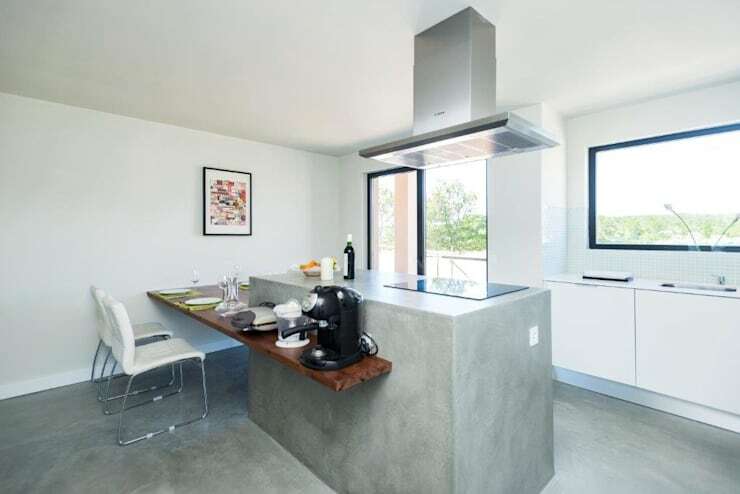 Thanks to the fact that concrete can flaunt various looks based on a variety of colours, you can opt to have a concrete counter look as raw or as sophisticated as you want. Case in point, this vision in white, which positively glows when compared to the warmer, earthier tones of the floors, walls and ceiling. Just like concrete, wood is also another material quite versatile in its appearance. Thus, if you don’t want your kitchen to look too rustic, we recommend pairing up polished concrete with wood in a warm, rich and “smooth” style, as pictured here. No need to broadcast to the whole house what you’re cooking up in that kitchen—this counter with its concrete-clad, semi-enclosed feature adds a pinch of privacy to your prepping space! A polished look will indeed take your concrete surfaces very far if the chic look is what you’re after. And after seeing how seductive this grey kitchen above looks, how could you not? Small space? 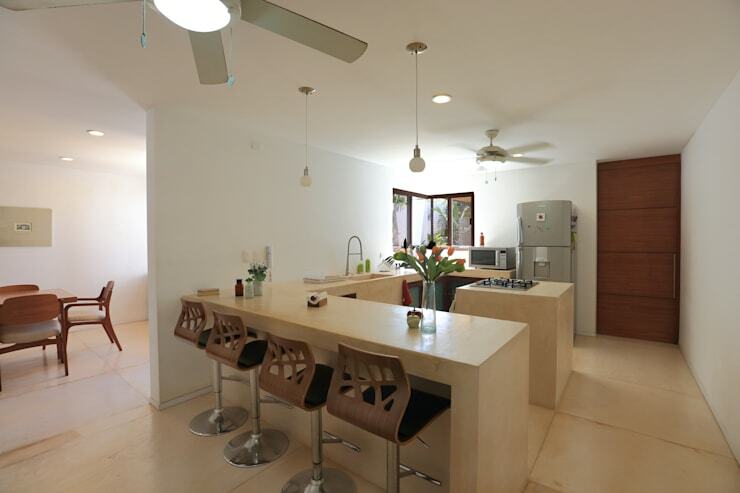 No problem – opt for lighter-hued concrete to add some visual spaciousness to your kitchen. And don’t forget to add (natural and artificial) lighting! 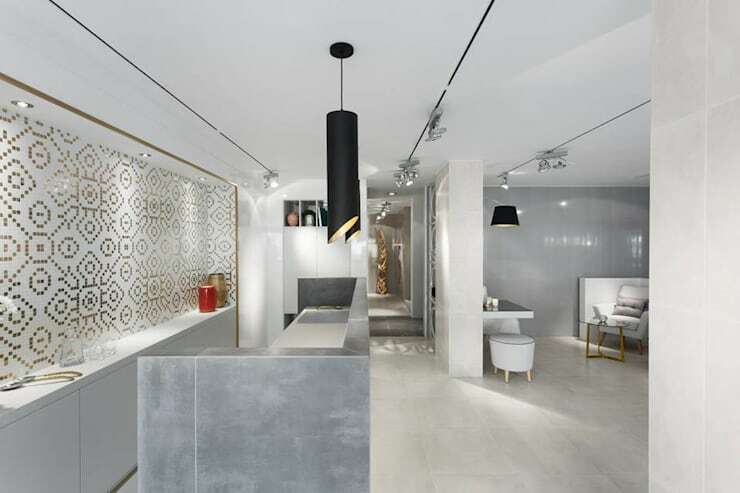 Concrete can combine splendidly with just about any material. 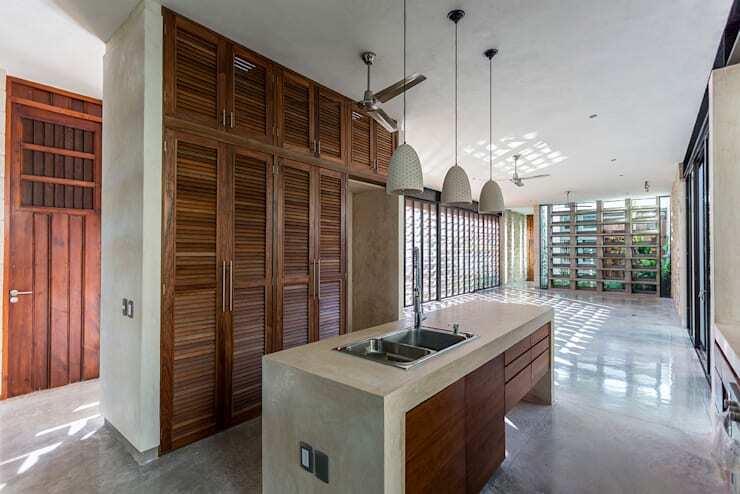 See here how wood and glass help conjure up modern cabinet doors to help keep a myriad of kitchen goodies out of sight. Want a strong (a very strong) counter or island, yet not necessarily a concrete top? 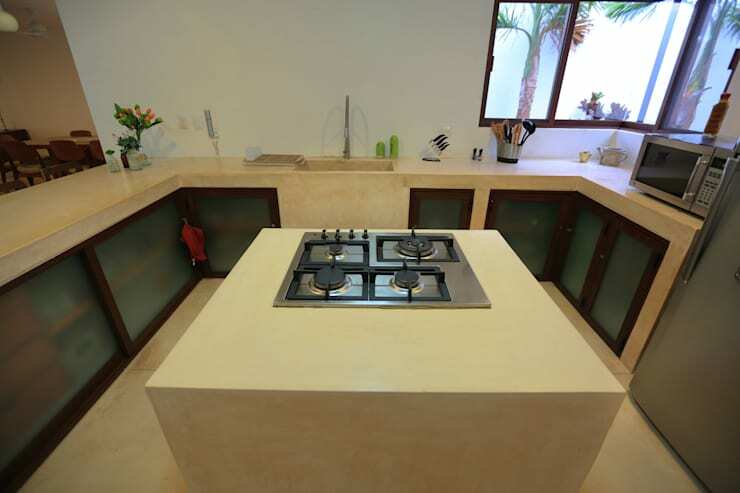 Then we suggest you opt for a concrete block and wooden top, which will give you the high durability factor, yet also the opportunity to change that countertop as and when desired. Be sure not to miss these 8 practical ideas that will work in every kitchen. 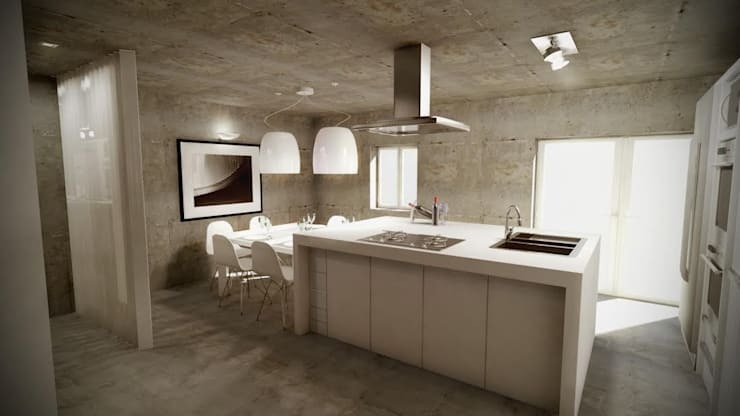 Which of these concrete counters would look perfect in your kitchen?